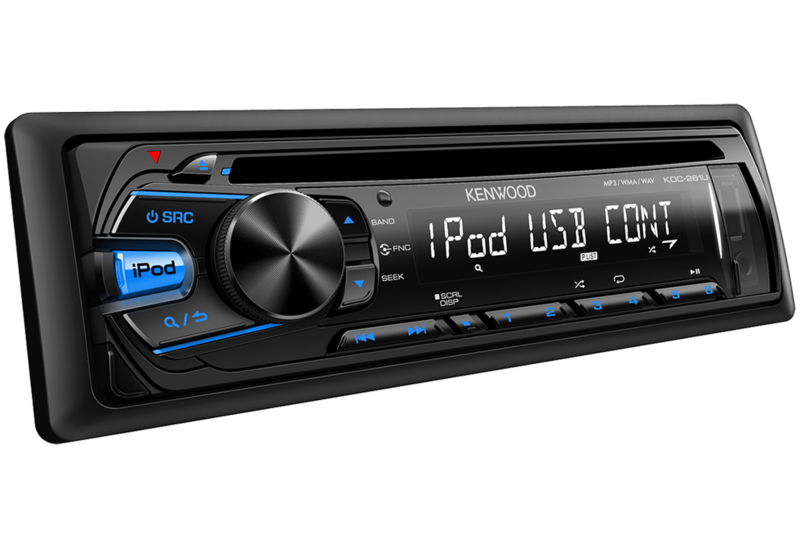 iPod/iPhone devices are catered for on the KDC-261UB via its front mounted full speed USB input. Charging of USB connected devices is helped by the high 1amp maximum output. 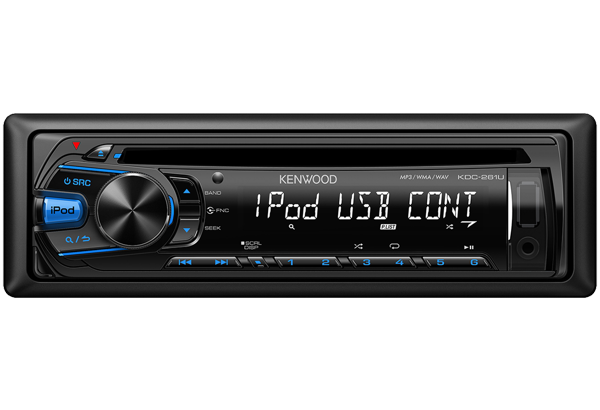 Mobile MP3 players can also be connected via an illuminated front audio input socket (AUX). A new large 12-character display allows easy visibility even in sunny conditions. 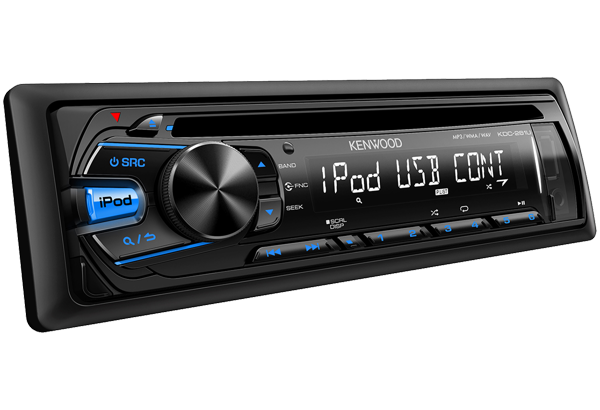 And a high power 4x50watt built-in power amplifier will fill your car with high quality sound from any source.